Keeping skincare simple – take a look at these three expert tips for glowing skin. During the summer months many of us opt for a more au natural look, choosing to let our complexions shine through our make-up rather than hiding behind thick foundation. For many of us, this means we need to do a little extra work to ensure we have glowing skin. So what can we do if our complexion is looking dull, flaky and lifeless? The following tips have been recommended by Kerry Benjamin, skincare expert from LA. Regular exfoliation is a must for radiant skin as it sloughs off dry, dead skin cells to reveal fresh, glowing skin. Aim to exfoliate around one to two times a week using a natural exfoliator – Kerry recommends one tablespoon of raw organic coconut oil mixed with one teaspoon of cane sugar. Apply to the face and neck in a circular motion and rinse with warm water. Our skin does most of its healing while we sleep, therefore it makes sense that this is the best time to give your skin a little extra help. Kerry advises her clients to apply a thin layer of their favourite hydrating mask to their face and neck before they hit the hay. This can be especially helpful when travelling as skin can get dry and irritated. Beauty starts from within, so don’t forget to watch what you eat. Foods rich in antioxidants (such as blueberries) and those that contain anti-inflammatory and healing nutrients will keep skin healthy from the inside out. Kerry recommends cutting down on sugar too, as this causes an inflammatory response in the body. Having professional treatments from time to time can really improve your complexion. 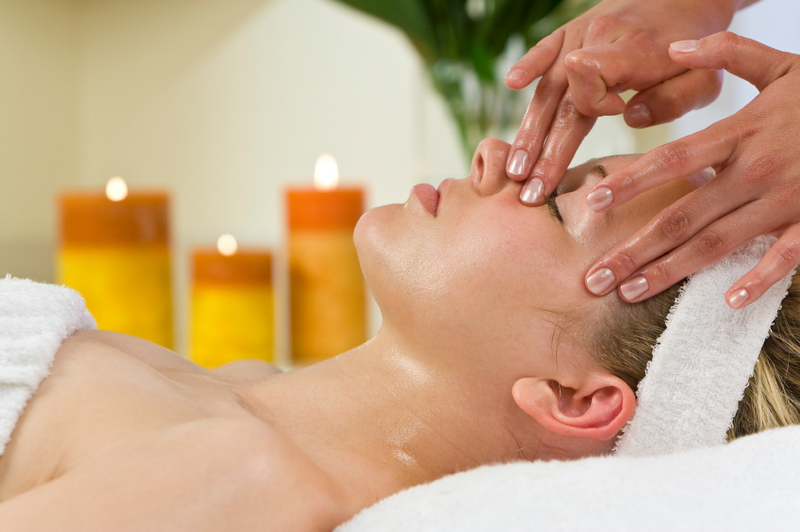 To find a beautician near you who offers facials, please use our advanced search.